If someone gave an unlimited amount of cash to splurge on a five-star, ultra-luxurious getaway anywhere in the world; what would be your luxury destination of choice? It’s a tough question when there are so many options – or are there? Well, of course there are many beautiful places around the globe, but there are only a few that the rich and famous frequent. And why do they frequent THESE places, you ask? Because one pays a pretty penny to visit them – which means that they’re extra-exclusive; super private and personal, with service that’s on another level entirely. Of course, all these lavish comforts attract the uber-wealthy, but for those who aren’t as privileged as the world’s wealthiest this is all but a far-fetched dream. However, the pound seat is not too far from reach – sometimes it’s as easy as playing the lotto and winning mega millions! But, whether you end up with a small fortune or not, you better start familiarizing yourself with the places that are fit for royalty – because you never know when luck is coming around! 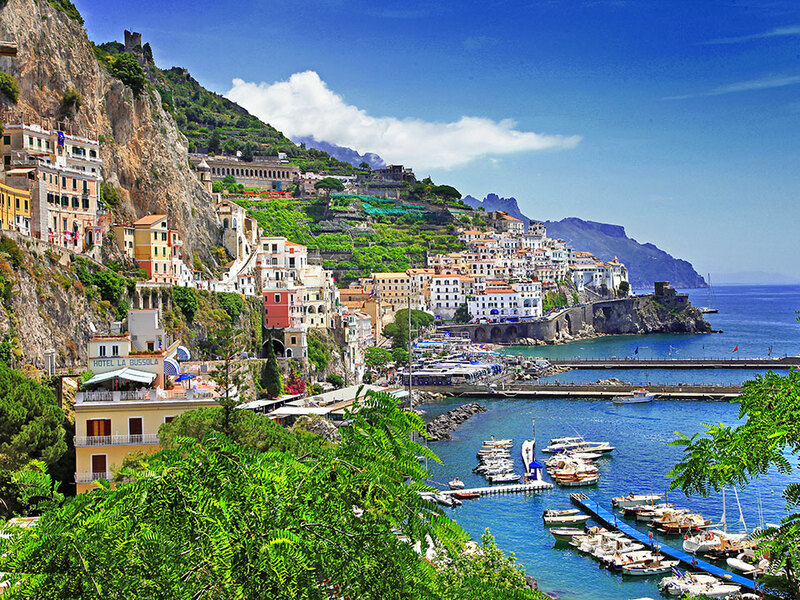 The Amalfi Coast attracts the well-to-do beach-loving folk who love nothing more than to take it easy in the best way they know how – soaking up the sun on their super-yachts or on the colour coordinated beach beds spread out on the shores of Amalfi’s gorgeous beach coves. 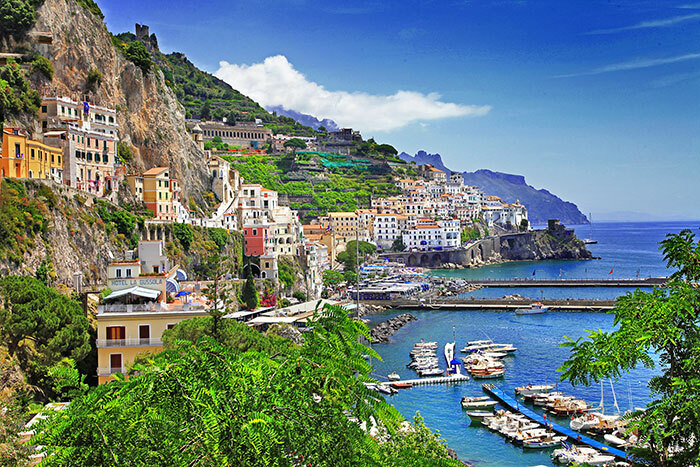 There are also many beautiful towns dotted along the Amalfi coast – making it the ideal place to take a road trip. Picture yourself hopping into your drop-top and having your hair blow in the wind as you make your way around the winding roads in search of the next ‘it’ spot. Sounds like a treat! When the sun goes down you can look forward to indulging in authentic Italian cuisine, and sampling award-winning Italian wine while feasting your eyes on the sunset spectacle. Cannes is the ultimate destination for the rich and famous – so much so that you may just bump into a celeb on the streets, or should I say on the beach! You’ve probably heard of Cannes quite a few times – does Cannes Film Festival ring a bell? Yup, Hollywood’s biggest stars flock to Cannes each year to celebrate the international film festival in style. They usually spend a few days here in the summer sun, causing a stir on the beaches, frequenting the many restaurants and partying up a storm on the Cannes nightlife scene. It’s an extravagant affair, and the energy lingers in the air long after the festival is over. Honestly, be prepared to spot a few famous faces throughout the year! Las Vegas is the home of the high-roller. It’s the place where women and men alike go to let their hair down. Vegas is not for the faint of heart, it’s a place where you either go big or go home! The Las Vegas strip is riddled in 24-hour hotels, nightclubs, shopping malls and entertainment at any time of the day or night. It’s said to be one of the most expensive cities in the states, boasting more AAA Five Diamond Hotels than anywhere else in the world – which tells you just how fancy the clientele is. There is no place quite like Vegas – it should be on every entertainment fundi’s travel bucket list, but make sure that your pockets are well lined – although you may just hit the jackpot at one of the casino’s – literally! Monaco must be one of the most sophisticated cities in all of Europe – it oozes class in every way. 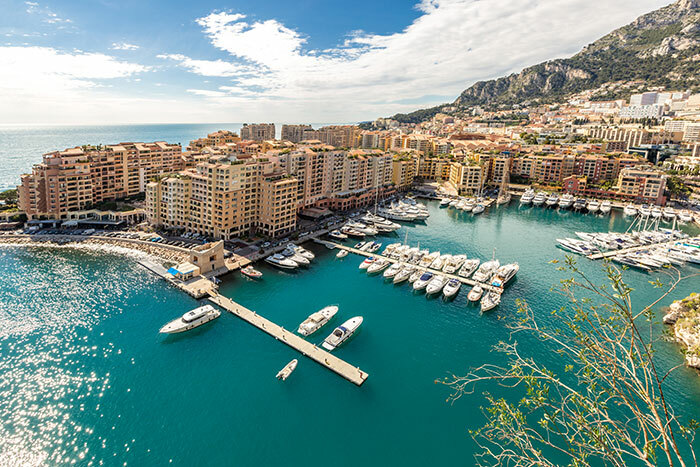 Monaco is known to be one of the wealthiest cities, with almost every resident earning a six-digit salary. Yes – it’s that grand, so you can only imagine how glamorous the city is. The streets are bedazzled with sports cars; the harbor jammed with super-yachts, the ladies and gents dressed to the nines, and designer stores planted along every sidewalk. The luxury lifestyle of Monaco doesn’t stop there; it seeps into the ultra-classy restaurants, bars and nightclubs and even the day-time activities are rather ‘OTT’. Think Grand Prix races, exotic garden walks, champagne boat cruises, visits to the casino and shopping at the likes of Louis Vuitton and Chanel to name a few. Cabo, also known as Cabo San Lucas, attracts the celebs in a big way. This rather secluded coastal town has all the bells and whistles, except it’s not flooded with tourists (because it’s pretty pricey) – making it the perfect vacay spot for the rich and famous to holiday in peace. Cabo is exceptionally beautiful, boasting many quaint beach coves, as well as unusual shaped rocks that protrude from the crystal-clear waters. It sure is picturesque – and partnered with incredible activities, restaurants, bars and beaches, it undoubtedly makes for a perfect vacation spot! Next articleWhat are discount voucher codes – and how can you benefit from them?